Do you remember how much excitement comes from water slides? Well white-water rafting gives you that same excitement and adrenaline but 100 times bigger and better! Immerse yourself in 100% New Zealand nature and join in on one of River Rats rafting experiences. River Rats operate out of Rotorua on Kaituna River, Rangitaiki River (45 minutes from Rotorua), Wairoa River in Tauranga and on the Tongariro rapids. River Rats fit you with the appropriate gear and they are awesome at looking after everyone. They have a tour suited to different needs and abilities no matter how experienced or inexperienced you may be. Photo: White water rafting on the Kaituna River. What better way to experience bungy jumping than in the country where bungy jumping all began. And even better yet – experience it with AJ Hackett Bungy - the founding man with the brains behind the whole idea of bungy jumping. Ranging from 40 to 134-meter jumps there is a height to suit everyone where your adrenaline levels will be at an all-time high. These jumps, over some of New Zealand’s most beautiful scenery are not for the faint hearted and you will experience adventure on another level! I’m sure you have heard that New Zealand is one of the best places to experience Skydiving in the world! We can’t even start to explain why that is true unless you experience it for yourself. 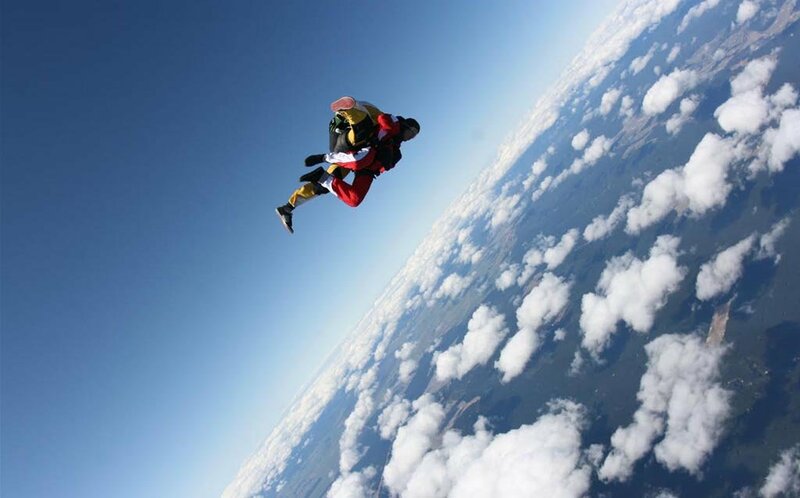 There are many different locations to check out around the country but one of our favorites are Taupo Tandem Skydiving. You will have to see for yourself why they are rated #2 outdoor activity in New Zealand -but with magnificent views over the largest lake in New Zealand and the chance to see coast to coast views of the North Island you are in for an unforgettable adventure. Photo: Spectacular views skydiving over Taupo. Jet Boating will get your heart pumping and your lungs screaming as you reach speeds of 80km/h with regular 360-degree spins. We can’t promise you will still be dry after this thrilling adventure, but we can promise that you will be full of smiles and laughter for hours after. Hukafalls Jet in Taupo will show you the most spectacular view of New Zealand’s most visited natural attraction – the Huka Falls. Combine adrenaline filled adventure with natural beauty and you have yourself an absolute winner combo! 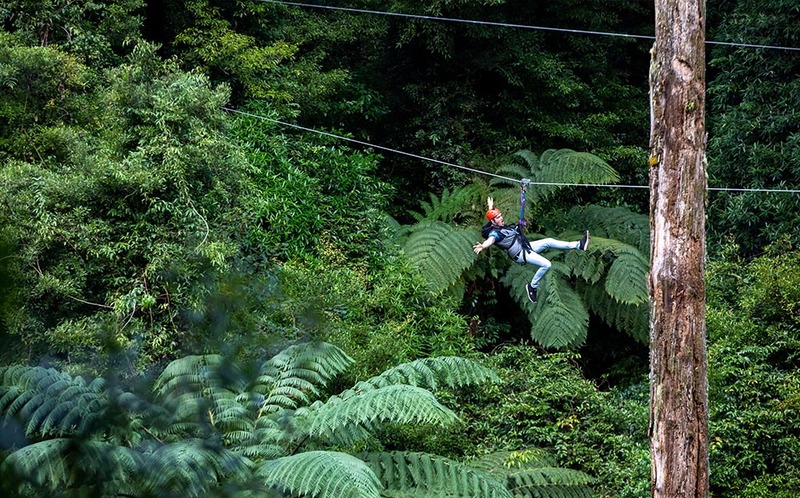 Ever wanted to experience the feeling of flying through native forests in New Zealand? Ziplining is one of those adventure activities that gives you a thrill and it’s an action-packed adventure, so it suits everyone – even if your biggest fear is heights. At one of the best ziplining locations in the world, Rotorua Canopy Tours is a unique experience where guides take you deep into ancient, native forest via a network of ziplines, swing bridges and cliff walks that make up either a 3-hour Original Canopy Tour or a 3.5-hour Ultimate Canopy Tour. 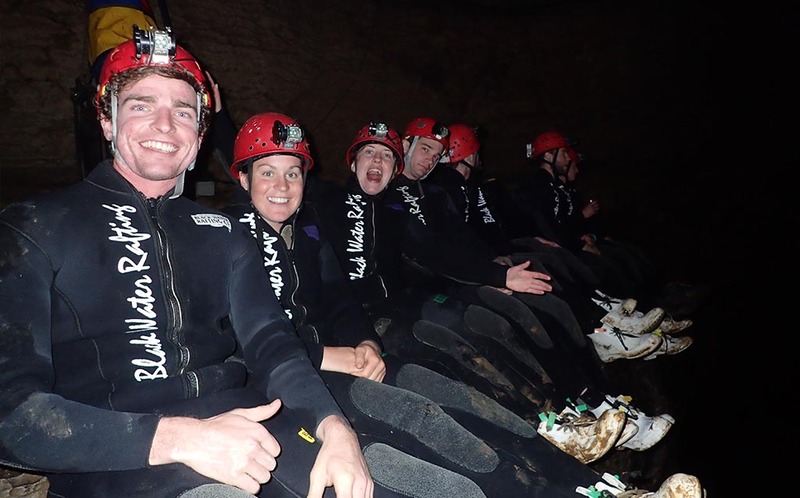 Not only fun but also educational you can see why it is a top 10 adventure activity in New Zealand. Photo: Ziplining through native forest with Rotorua Canopy Tours. You might consider Heli-skiing to be something for the pros but in New Zealand you don’t need to be a pro at all. If you have a few years’ experience of skiing and consider yourself a strong intermediate skier, then this is one New Zealand adventure you need to try. You will be taken by helicopter into background terrain to find some of the most pristine snow you may have ever seen. Harris Mountains Heli Ski have an ability guide to follow to see what grouping you best fit into. They take tours in Queenstown, Wanaka and Mount Cook in the South Island – don’t miss out on this unique experience. 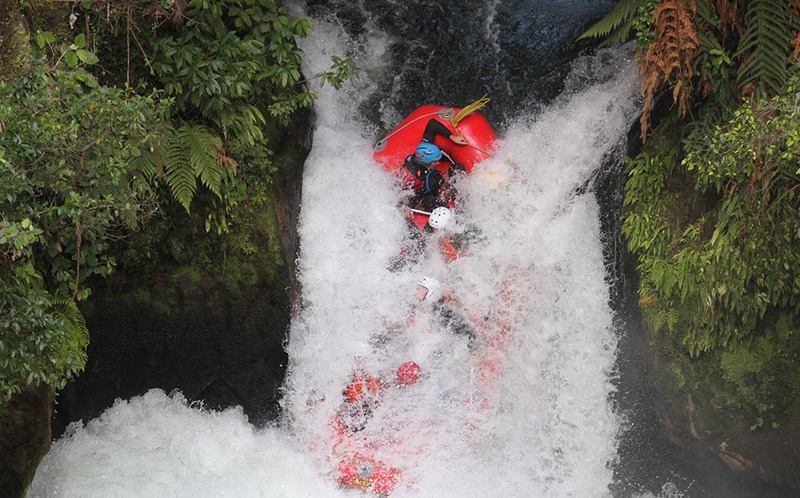 Another New Zealand invented adventure located in the heart of the North Island, Rotorua. Have you ever thought how fun it could be rolling down a hill in a giant inflatable ball? Well it’s a thing at OGO Rotorua and we can assure you that it’s very entertaining and it will leave you in a fit of laughter. 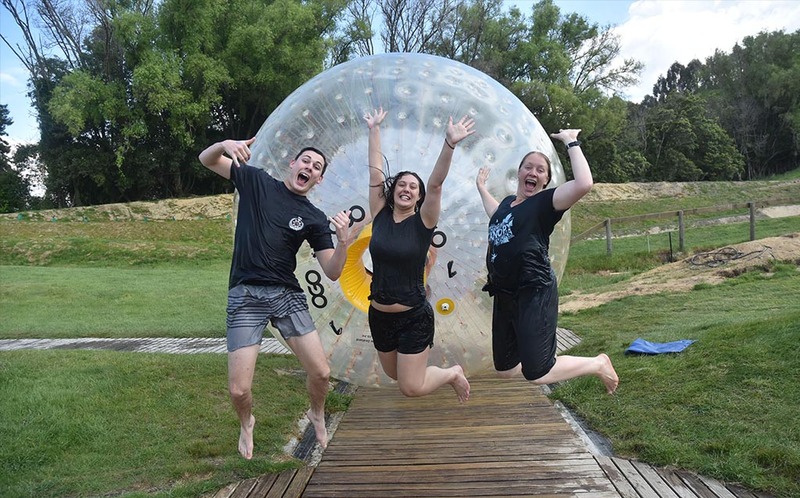 Race your friend down the hill, experience the fastest and steepest hill, stay dry or get wet - the choices at OGO are unlimited and one adventure you can’t experience anywhere else! Photo: Jumping for joy after a H20 OGO ride. Abel Tasman is one of the most picturesque areas of New Zealand with the crystal-clear blue waters, white sandy beaches and native forests that line the shores. The ultimate adventure is to kayak the shores and witness the beauty of the shoreline at a distance. Abel Tasman Kayaks offer awesome tours showing you the best places to stop at, best routes and they will also show you all the beauty that Abel Tasman has to offer. Black Water Rafting is a New Zealand favourite and an absolute must do if you are in Central North Island. With so many activities in the one tour it is a fun filled adventure that involves abseiling, caving, tubing, flying fox, jumps and waterfall climbs. You will never know what’s coming next on this awesome adventure activity. Photo: Deep in the Raukari Cave during the Black Water Rafting Tour. This is one adrenaline filled adventure activity that you can do as many times as you desire, and it’s very hard to get sick of (as long as you don’t get sick of running back up the dunes). Sand dunes that are about 80-100 meters high combined with a boogie board will end with a face full of sand but a massive smile. Harrisons Cape Reinga Tours can take you on an adventure to Ninety Mile Beach or you can make your own way there with a boogie board and spend as much time there as you please.